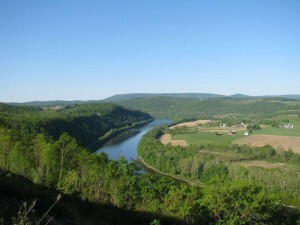 Fans of the North Branch Susquehanna River, seen above from the Marie Antoinette Overlook in Bradford County, have only until Monday, Dec. 14 to cast their votes for the Pennsylvania Organization of Watersheds and Rivers’ “River of the Year” contest. Residents along the winning waterway will enjoy special activities and events throughout 2016. (At top) recreationsits gather along the shoreline of the Susquehanna River at Tunkhannock for the annual River Day celebration. If the North Branch Susquehanna River wins the 2016 PA River of the Year contest, the Endless Mountains Heritage Region can help to sponsor more events of this type. 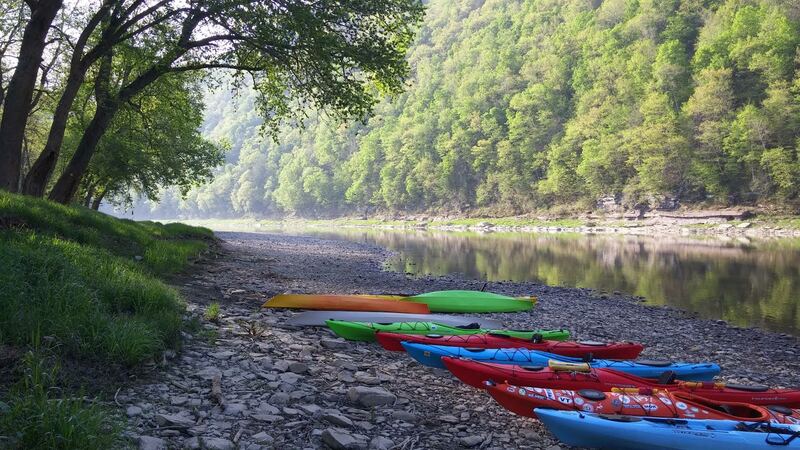 Voting began on Nov. 13 for the 2016 Pennsylvania “River of the Year,” and the Endless Mountain Heritage Region (EMHR) and the Susquehanna Greenways Partnership (SGP) are asking the public to cast votes for the North Branch Susquehanna River. EMHR manages the Susquehanna River – North Branch, which is part of the National Parks’ Captain James Smith Chesapeake National Historic Trail. 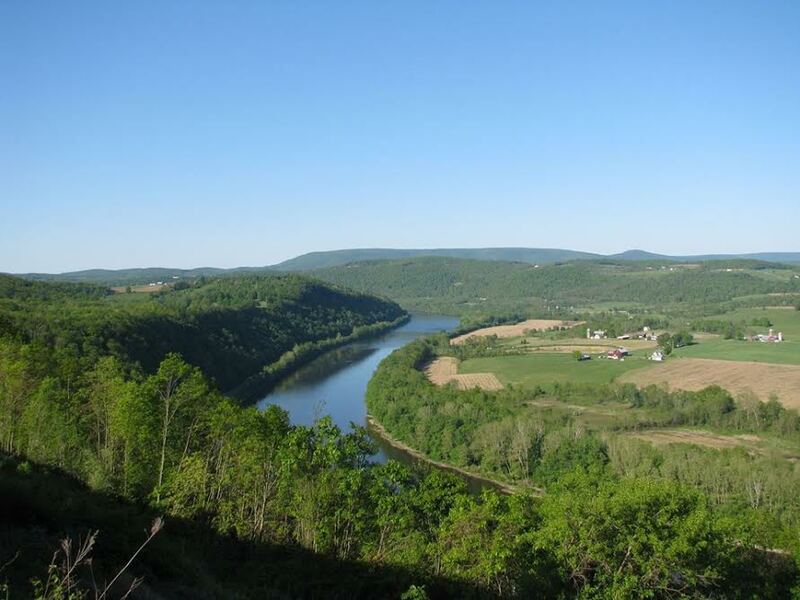 The PA Department of Conservation and Natural Resources (DCNR) has funded the “River of the Year” contest since 1983 for the Pennsylvania Organization for Watersheds and Rivers (POWR), an affiliate of the Pennsylvania Environmental Council. If the North Branch Susquehanna River gets the most votes, EMHR and SGP will split a $10,000 leadership grant to help fund “River of the Year” activities, which can include paddling trips, sojourns, and celebrations in river communities along the North Branch, which flows through parts of Susquehanna, Bradford, Wyoming and Luzerne counties to the confluence with the West Branch. Last year’s winner was the Conewango Creek, which meets the Allegheny River at Warren, PA. Conewango Creek Watershed Association board member Ron Keeney related that the PA River of the Year designation gave the creek “monumental exposure to a wide audience from multiple states,” helping to put the rural watershed on the map for would-be recreationalists, environmentalists, and travelers. Competition is stiff again this year, with the Lackawanna, Lehigh, Ohio and Kiski-Conemaugh rivers also nominated for the title. 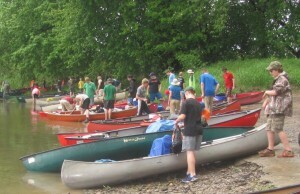 “In all of these nominated waterways are showcased so many unique natural resources, recreational opportunities and incentives boosting local economies,” DCNR Secretary Cindy Adams Dunn stated. POWR announced after the first week of voting that the North Branch Susquehanna and the Lehigh Rivers were tied at 41 percent each. With both waterways so far ahead in the contest already, it is crucial that local residents act immediately to help secure the win for the North Branch Susquehanna River. The North Branch Susquehanna has won the contest three times, sharing the honor with the Main Stem Susquehanna River in 1993 and topping the list the last time in 2004. Voting will run through Monday, Dec. 14. The public can cast votes online and access additional information about each nominated waterway at www.pariveroftheyear.org . Fans of the North Branch Susquehanna River, seen above from the shoreline at Towanda in Bradford County last winter, have only until Monday, Dec. 14 to cast their votes for the Pennsylvania Organization of Watersheds and Rivers’ “River of the Year” contest. Residents along the winning waterway will enjoy special activities and events throughout 2016. 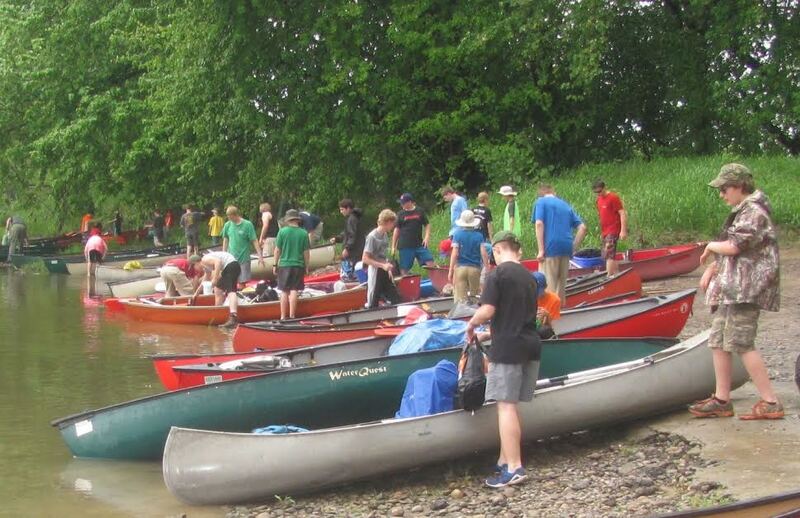 Nearly 80 Boy Scouts from Bradford and Sullivan counties took part in a sojourn on the Susquehanna River last summer, stopping at the Wysox public boat launch for lunch and a lesson about early explorer Etienne Brulé. 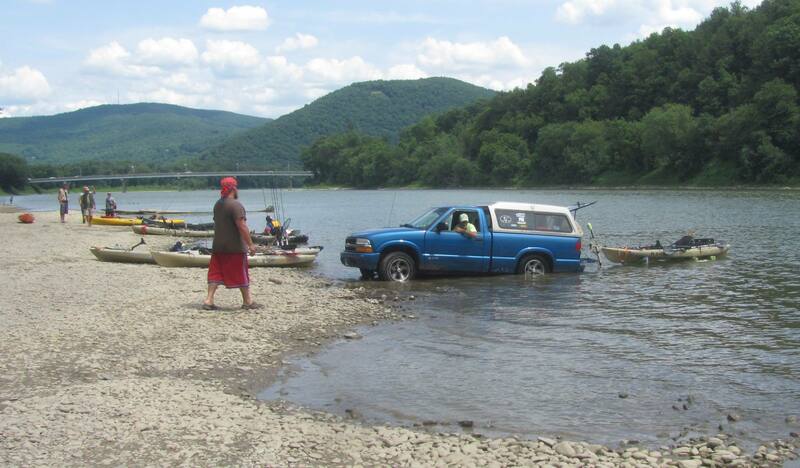 If the North Branch Susquehanna River wins the 2016 PA River of the Year contest, the Endless Mountains Heritage Region can conduct more events of this type. 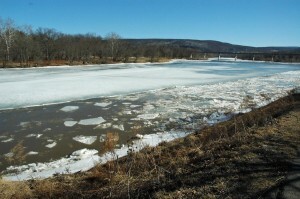 Fans of the North Branch Susquehanna River, seen above at Camp Lackawanna in Wyoming County, have only until Monday, Dec. 14 to cast their votes for the Pennsylvania Organization of Watersheds and Rivers’ “River of the Year” contest. Residents along the winning waterway will enjoy special activities and events throughout 2016.